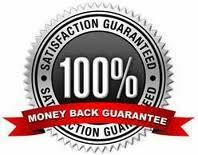 Do you wish you felt more confident with your ability to protect yourself or your loved ones? This self defense move could save your life! 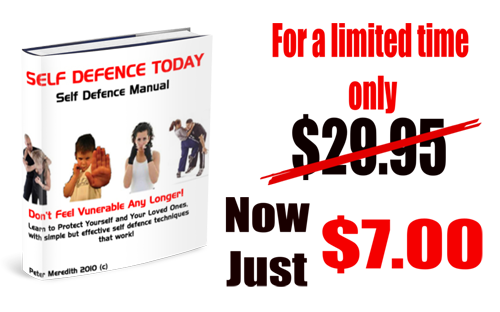 Self defence today is a must have book for anyone who has experienced that overwhelming sense of vulnerability when out in their day to day lives. You don’t deserve to feel threatened or scared in any way when you are in your own home or out in your local community. Regain you confidence by learning simple, effective, self defense techniques that work! No fancy Hollywood Karate moves, just self defense moves and strategies that you can quickly put into action to keep you safe. Do You Find Yourself In Situations Where You Fear For Your Own Safety, And You Feel Vulnerable And Scared? 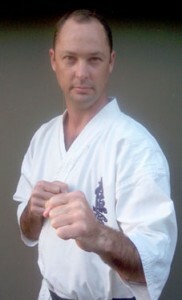 The Creator of Self Defence Today is a 3rd Dan Blackbelt in one of the Worlds Strongest Karate Styles (Kyokushin), and has over 25 years experience teaching, training and working in both the fitness and security industries in London and Australia. This course was originally created to teach to people in high risk jobs, adapted to teach high school students and is now available to you only from this authorized site. Parts of your body and every day items you carry around with you can be used as effective self defense weapons. Elbows, Knees, and even a rolled up magazine can be used as effective self defense weapons! Learn the vital spots and how to attack with deadly force! In Self Defence Today we teach you all you need to know to face any threatening situation. Be prepared and regain your confidence! 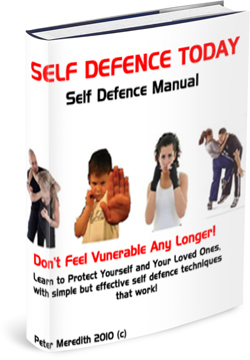 Learn to defend yourself today for as little as $7.00AUD and with our 60 day money back guarantee, the only thing you have to lose is your fear of becoming a victim! Don’t feel like a victim any longer! Download your copy now and regain your right to feel safe! Simply click the download button above to be taken to our secure payment processor, and you will be transferred to the download page immediately following your payment.